Our visit to Patten University was not accidental as we reacquainted with professors and pastors affiliated with the school. We were also able to participate in the planning of the Summerfest 2008 which will be held by the Church of God in the heart of San Francisco. As the ministry context of our X Youth Events in Bulgaria is very similar, we were able to sharpen our understanding for inner-city missions and learn new paradigms for urban missions which will help us in the organizing of future youth events in Bulgaria. We are thankful to the Lord for opening another door for ministry in the United States in the state of California. Our visit there, both long-waited and unexpected, took our ministry from Elsinore to Sacramento. We visited with the Living Waters Church at Orange County, had meetings at Simi Valley, ministered at Fresno, met with ministers at Patten College, reestablished connections in San Francisco and had two great services with Pastor Duncan and the New Life Christian Center of Rio Linda. 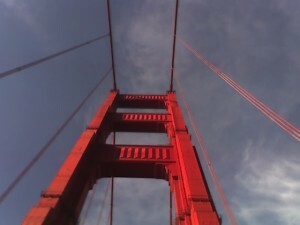 We are looking forward to return to California and minister there again soon. 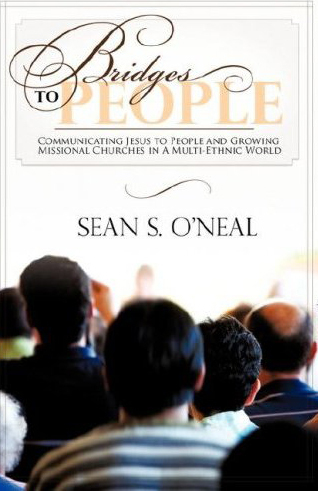 My longtime friend, mentor and colleague, Sean O’Neal, who serves as the the Director of Evangelism and Youth Ministries for the Church of God California/Nevada State Executive Office, has published his dissertation work under the title “Bridges to People.” The book is one of a few, if not the only published academic research on urban missions from a Pentecostal perspective. But the text is much more than just a dissertation project. 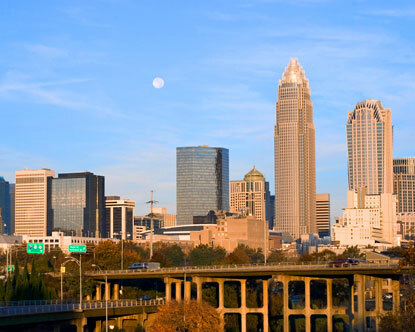 It is a practical application emerging from over two decades of urban missions work across America, which is intended to be used as a training tool for pastors and congregations who are involved in cross-cultural urban ministry. Sean’s ministry begins in Indiana and moves to Chicago metro where the church he pastors transforms into a multicultural center ministering to Bulgarian, Romanians, Hungarians and Mexicans and building bridges between ethnic groups within the Kingdom of God. The practical experience, which becomes the basis and the heart of the publication redefines the philosophy of modern day urban ministry in the 21st century. The claim that the book defends over and over is simple: the effectiveness of urban ministry depends on its origin in the praxis of ministry. And this is a truly Pentecostal claim, as it places the practical experience of faith within the multicultural context of ministry before all theological and philosophical presuppositions. I know that by now, most of you who are involved in any type of urban ministry are already asking the question: “Will this work for me?” It worked for Sean and the ministers whom he trained to recognize the need and provide the needed ministry. The principles which he defines and describes come directly from his experience within the multicultural ethnic context of Chicago (1990-1998), New Jersey and New York (1998-2002), Urbana (2002-2004) and California, where he currently teaches and ministers. “Bridges to People” is intended to be used exactly the way it was developed: in a practical self-growing, self-testing and self-accountable ministry. It is a cross-cultural training manual for ministries and churches through redefining the ethnic reality of your community. Its objective to build a multi-facet cross cultural ministry makes it applicable not only for American based organizations, but for international ones as well. And last, but not least: it is written from a Pentecostal perspective, giving a central place of the work of the Holy Spirit building bridges between people across cultures and redefining doing missions in, from, by and with the Spirit of God. Since 1999, the website of Cup & Cross Ministries has become an international media center for evangelical churches in Eastern Europe. It has served as a reliable source of information for the ministry and developments of the Bulgarian Church of God publishing official statistics, interviews with church leaders, in-depth research and much more. Through this efforts, the website has become an information bank for Bulgarian Pentecostalism used by denominational medias, research centers, Bulgarian and foreign government and non-government organizations including the U.S. Department of State. The new design and functionality of the website offers a large spectrum of text, audio and video materials which inform of the scope of our ministry. The renovating technologies implemented in the new web center allow visitors to receive regular news updates via email or text message on their cell phone. The audio streaming allows the live delivery of sermons and audio content, while the video option will allow us to broadcast live ministry events from Bulgaria, hold video conferences with team members and provide an opportunity for churches to publish broadcast information about their ministry in video format. Recently, the national overseer of the Bulgarian Church of God asked our team to assist with the PR of the denomination while informing and promoting the ministry of the church via the internet and other medias. This new media strategy will include broadening the coverage through regular ministry reports of the dynamics and activities of the denomination, introduction of churches and ministers, interviews, statistics and analysis. Having received this great responsibility, Cup & Cross Ministries is committed to continue the mission of bringing up to date reliable information about the Bulgarian Church of God and to serve toward the broadening of its media ministry strategy in the 21st century.